Fantastisk japansk Hotel, merk av turen vår!! Hvorfor er ikke det 10 stjerner? Hello, Can you enter the outdoor baths with small tattoos covered? Thanks so much! No problem at all. You can enjoy our baths. Please have a think about it. Thank you. Hello, What time does dinner usually start? Do they serve it in a dining room, or do they serve it in the room you will be staying in? Thanks so much! You are taken to a special room of your own for food service. It was quite amazing. The highlight of our culinary experience in Japan. I think you agree on a time for dinner. It was outdoors, but like a built in patio with wooden slats for privacy and a door that went into a room with a hand basin and that room had a door that linked to the toilet and a corridor on to other rooms of the accommodation. I would describe were we stayed as more of an apartment, than a room and the apartment was only for us, not shared facilities. Hi, I have seen that this ryokan offers vegan meals, but I could not see where to request that on their booking page. I don't speak Japanese so am unable to request a vegan meal via phone call. Any ideas?? 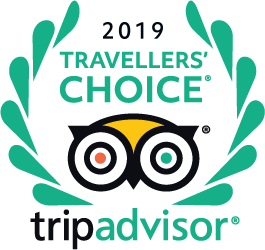 Hi, I'm a vegetarian with other dietary issues and they were fantastic with us, we put it on our booking and there is at least one member of the team with perfect English who was able to help us. They even came to our room while we were there to find out more about the dietary requirements and planned the menu accordingly. It was the best few meals we had in Japan not only for taste, but also in terms of being able to eat everything on offer! Hope this helps.